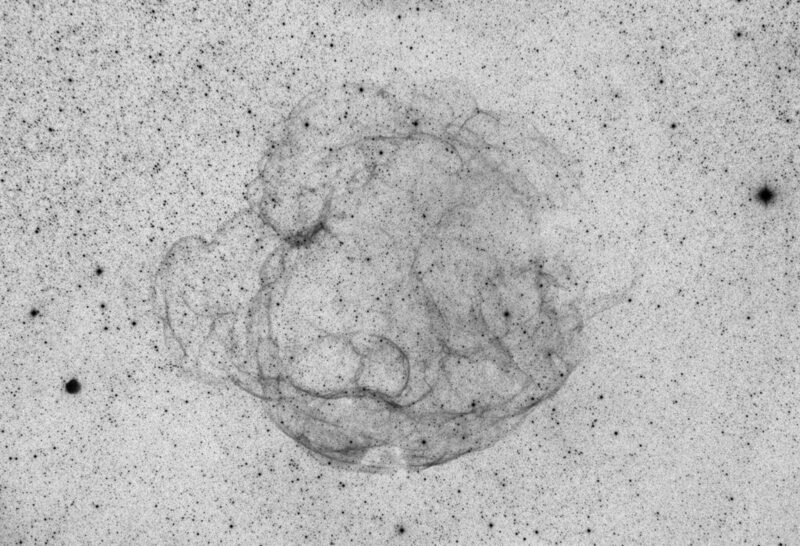 Simeis-147, also known as SH2-240, is a supernova remnant between the constellations of Auriga and Taurus. It is also known as the Spaghetti nebula because of its filamentary structure. Recently we had a clear night here and I wanted to see if I could catch it using my 100mm Canon F2.0 lens. 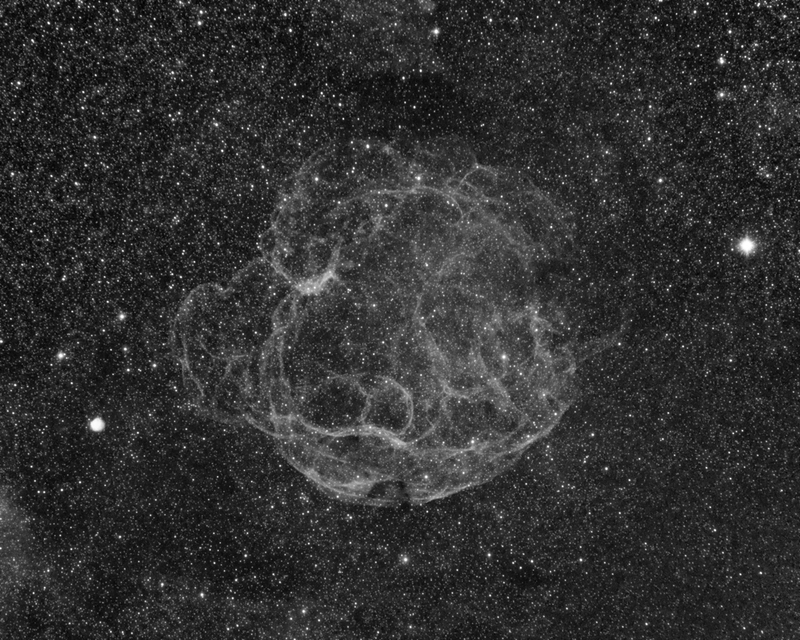 I downed it to F2.8 and used 600s exposures using my Astrodon 5nm Ha-filter on a QSI583ws. For guiding a separate guidescope (500mm/f7) was used on an NEQ6. I was very surprised to see how well the nebula already showed up.